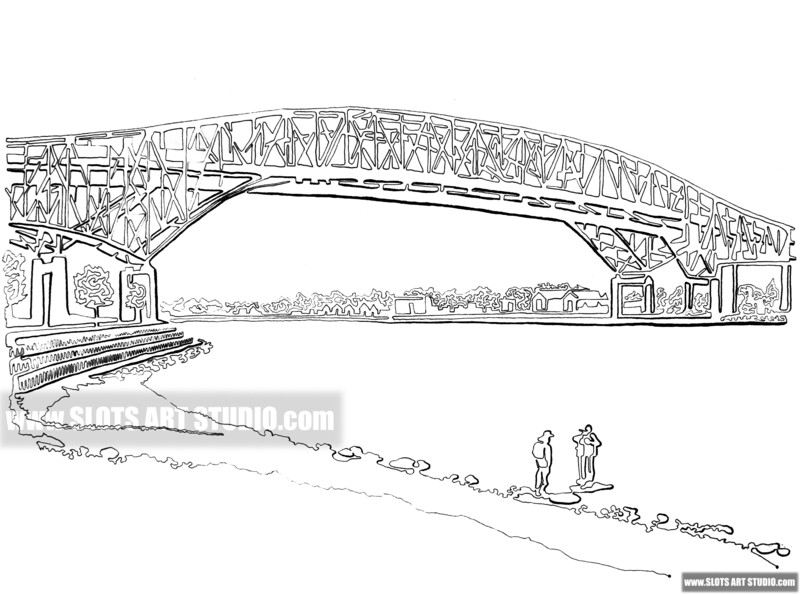 What are One Line Drawings? 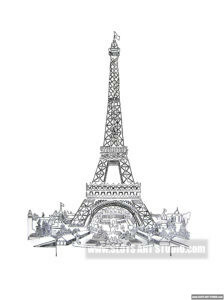 They are pictures drawn using only a single line that can grow thick and thin, and vary in its direction. 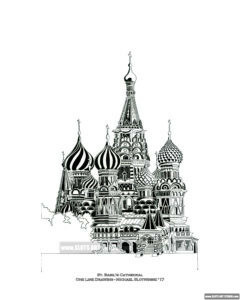 But what separates Michael Slotwinski’s Line Drawings from other artists are the fact that his One Line Drawings never overlap. 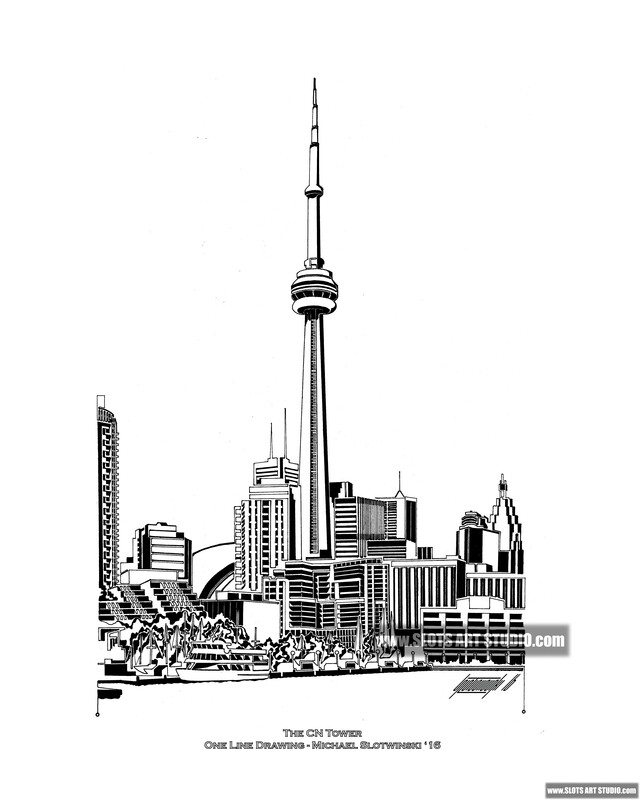 The origins of the idea began as a way to stay occupied as a kid, driving eight hours home from Montreal. 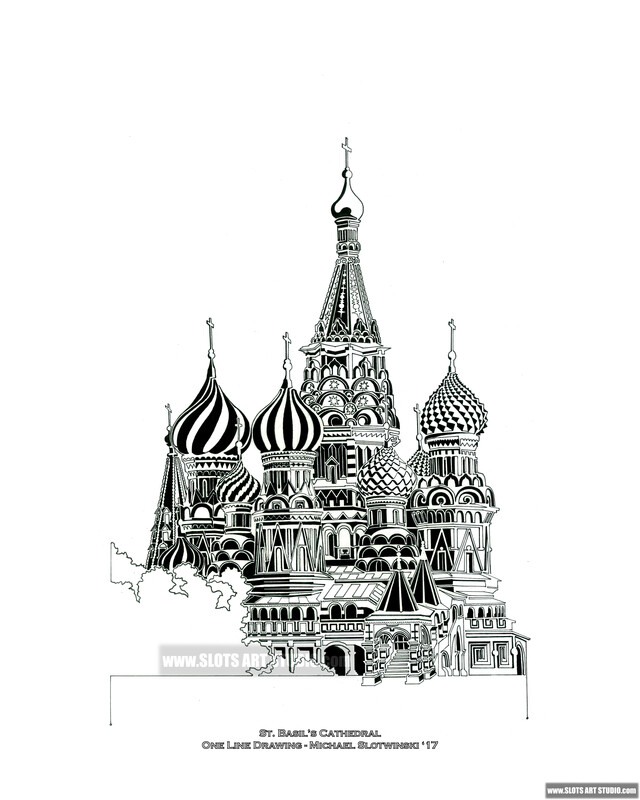 Slotwinski first drew a man on a couch, and then a rich cathedral, in which every brick, stone, statue, and stain glass window were drawn in this style. Over the years Slotwinski has come back to the idea to explore it more. 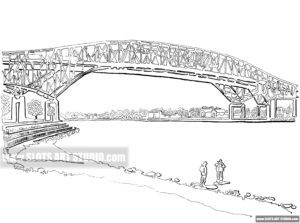 A few noteworthy examples can be found in his sketchbook from high school, and more recently, in 2012, he drew the Eiffel Tower and the Blue Water Bridges, from his hometown in Sarnia. 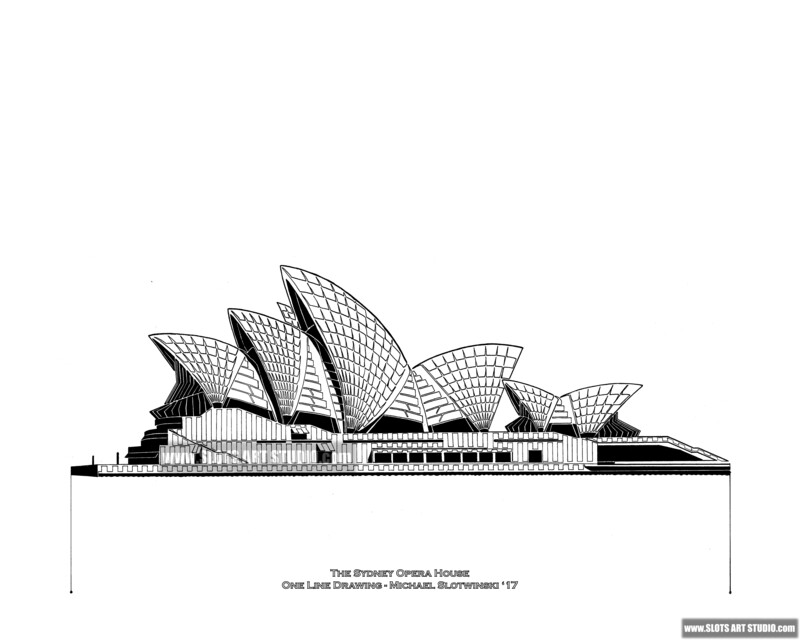 However, he always believed that he could do more with these drawings. 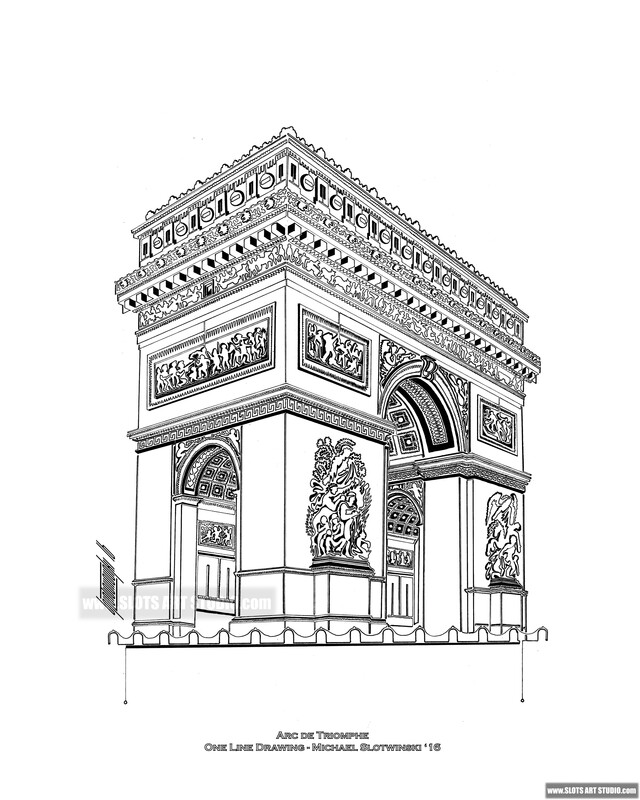 As of yet, they still seemed quite amateur – although still impressive, nonetheless. 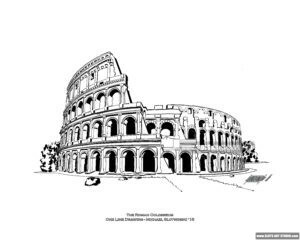 It wasn’t until 2016 that he really sat down to develop the idea of the One Line Drawings some more. 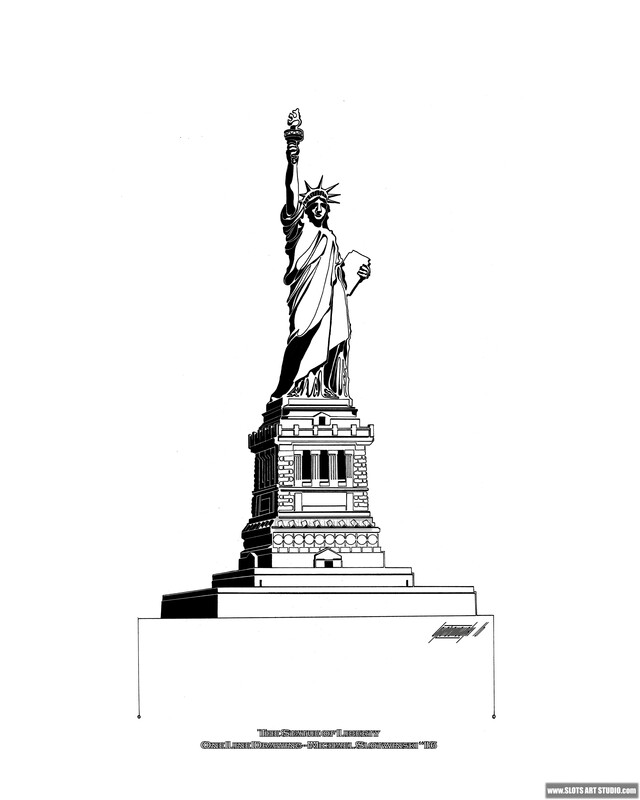 Holed up in his single light-lit bedroom in England (while teaching abroad), Slotwinski had an epiphany: If the line can change direction, why couldn’t it change it’s width as well? This would help him create false-illusions of depth and the third dimension, and it would also allow him to draw shadows too. 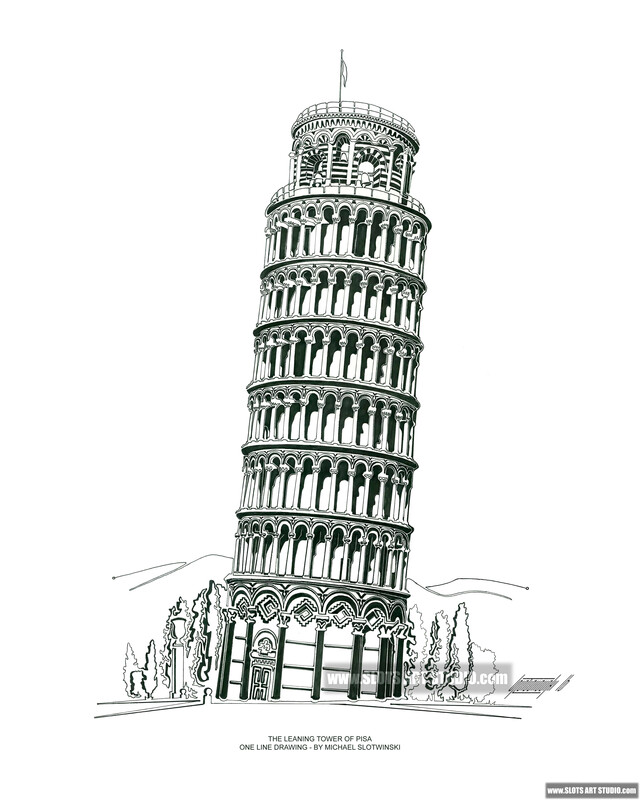 Although it took two attempts, the idea slowly began to evolve with the drawing of the Leaning Tower of Pisa, as seen below. 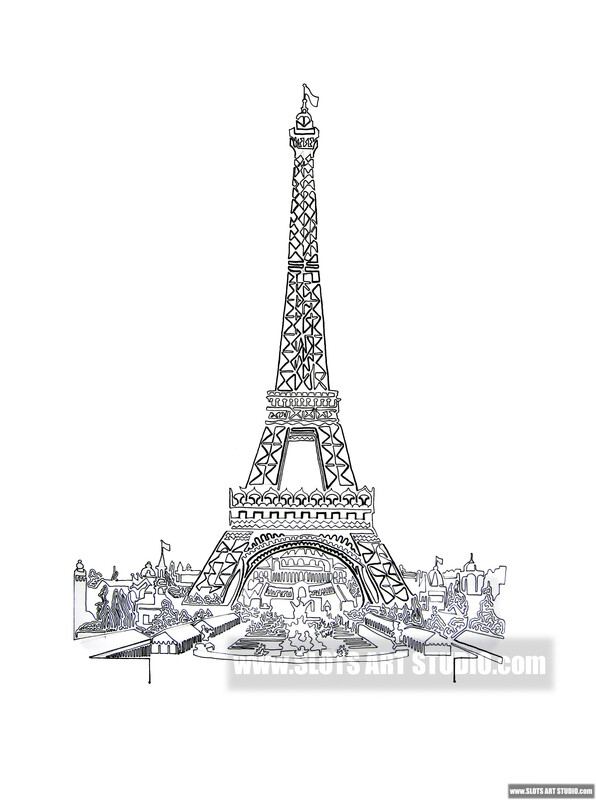 Each drawing takes between 20 – 40 hours to meticulously draw with ink. And yes, he does take his hand off of the page, now and then. 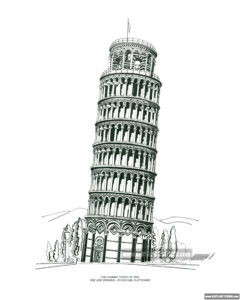 Description: One Line Drawing of the Leaning Tower of Pisa, Italy. 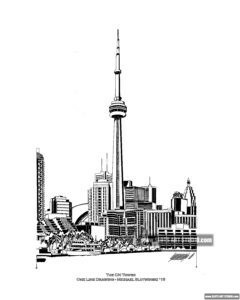 Medium: Pen & Ink on Watercolour Paper. 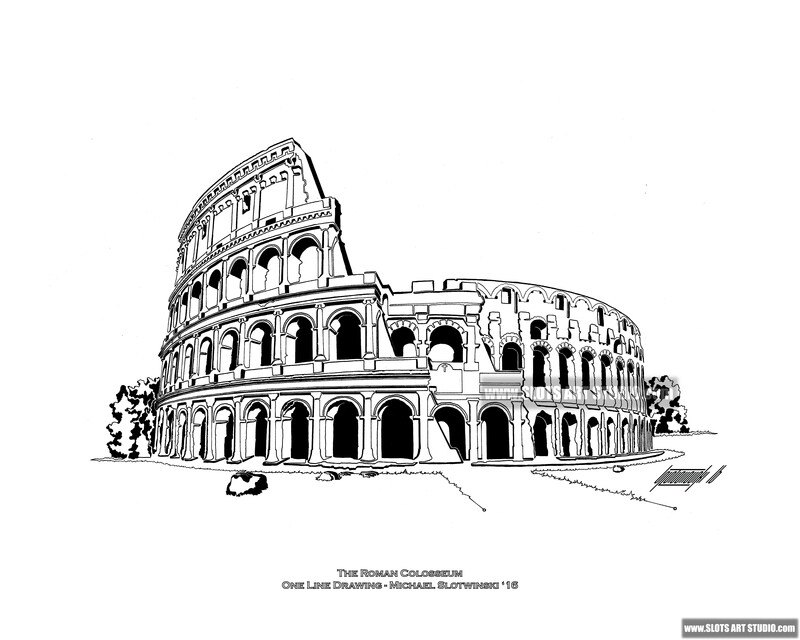 Description: One Line Drawing of the Roman Colosseum, Rome, Italy. 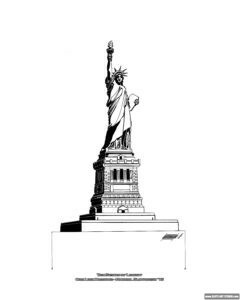 Description: One Line Drawing of the Statue of Liberty, New York, USA. 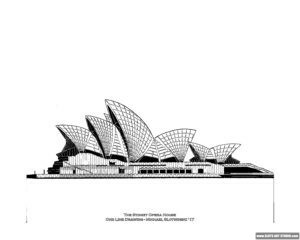 Description: One Line Drawing of the Sydney Opera House, Sydney, Australia. 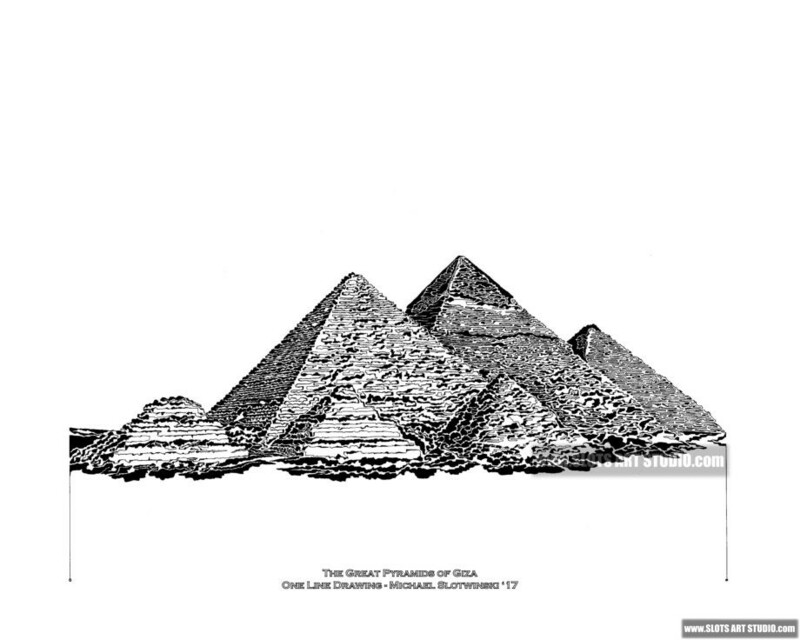 Description: One Line Drawing of the Great Pyramids of Giza, Egypt.